This is an interdisciplinary seminar course designed to provides students from any major with an introduction to nanotechnology. Dr. LeBlanc co-teaches this seminar with Dr. Sorger (electrical & computer engineering) and Dr. Shittu (engineering management & systems engineering). Students do not need prior experience or prerequisites. The 1 credit hour course is a Green Leaf course and counts towards the GW sustainability minor. Students in this course explore the technical, economic, and policy factors impacting the global energy outlook. Senior undergraduates design thermal systems for electronics cooling, solar water heating, building climate control, and electricity generation. 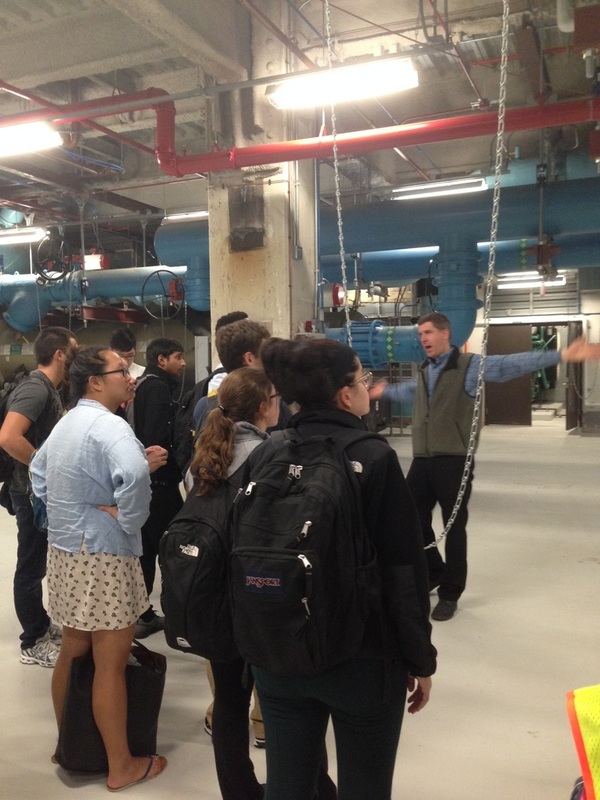 Students tour GWU's Central Utility Plant, the university's combined heat and power plant. The tour provides a real-world connection for the students' project on combined cycle power plants. Created by Dr. LeBlanc in 2014, this course is an investigation of the role nanotechnology plays in evolving energy applications such as thermoelectrics, photovoltaics, and batteries. 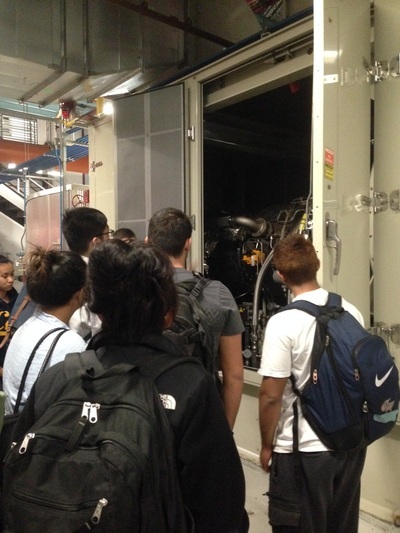 Students investigate relevant questions: What are the fundamental energy physics? Why is the nanoscale significant in energy applications? 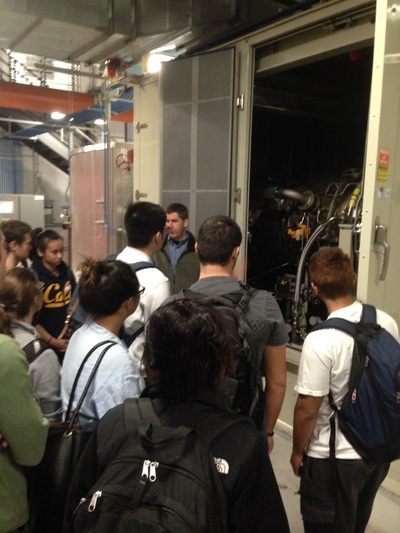 How does nanoengineering affect energy system performance? How do interdisciplinary factors, including technical, economic, and policy considerations, affect the impact of nanotechnology in the energy field? 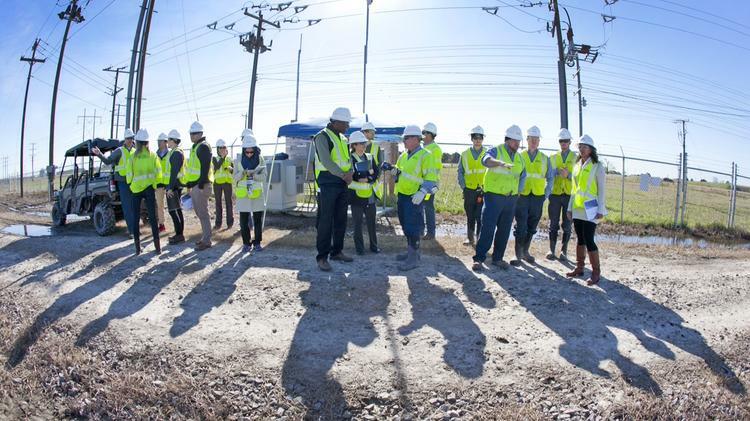 Students participate in a project titled "Living Lab to Study Solar Farms" funded by the Duke Energy Renewables Innovation Fund. 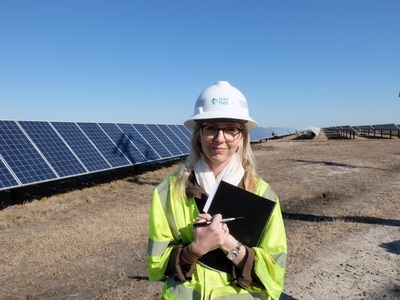 Students create case studies investigating the technical, economic, and environmental issues associated with solar farms. 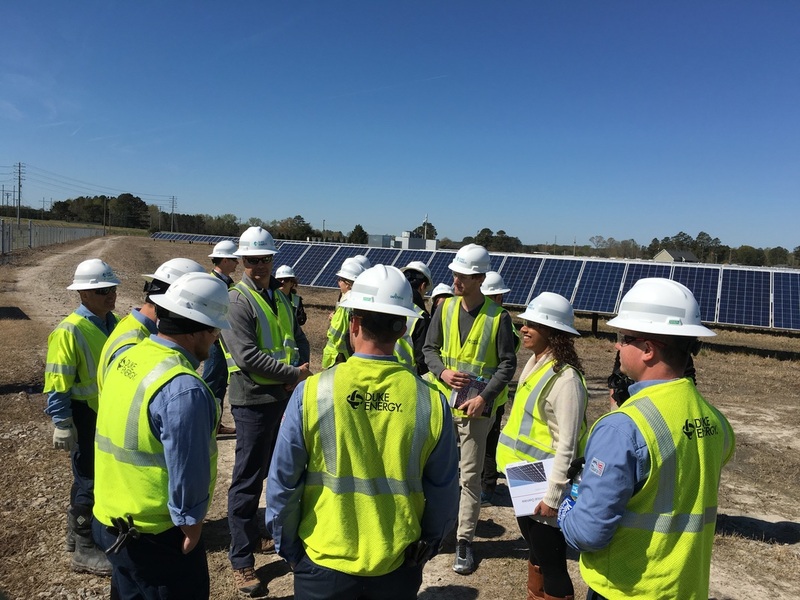 In March 2016, students got to visit a Duke Energy Renewable solar farm and the remote monitoring center in North Carolina. Students tour the Duke Energy Renewables solar farm in Elizabeth City, NC.